At the end of His sermon on the mount, Jesus tells of two men who built their own homes. One of the men built his home on a foundation of rock. The other built his on a foundation of sand. Both were undoubtedly beautiful homes. Well built. Nice structure. Good colors. Complete with custom counter tops and top of the line appliances. From an outward appearance only, both houses were identical. Probably, to the untrained eye, the one built on sand was better because it was waterfront property. But when a great storm came, you remember what happened. The house built on sand washed away, it became a house-boat, but the house built on rock stood firm. What was the difference? It was the foundation. One house was built on rock stood firm in the storm. And Jesus explains there that the one who built his house on the rock is like the person who builds their life on the Word of God. Not just by reading it, not just by hearing it, but by doing it, obeying it, living life according to it. As we work our way through the book of Luke, we come today to the section of Luke’s Gospel where he begins to tell us about Christ’s ministry years. He writes of the beginnings of ministry. And we will see that Jesus Christ builds his ministry on the Word of God. He wants a ministry that lasts, and so lays a rock solid foundation of the Word. To see this, turn in your Bibles to Luke 4:14. Jesus, as he begins His earthly ministry, lays down and builds upon the foundation of the Word. This should not surprise us, for we have seen Him live according to the Word as He has grown up. He is about 30 years old, and He spent those 30 years studying the Word, obeying the Word, living according to the Word, and using the Word to fend of the temptations of the devil. Now he is ready to begin his earthly ministry. And so we pick back up this morning with the very first part of Luke 4:14. In fact, I am talking about the very first part of Luke 4:14. Or maybe it’s the very last part of Luke 4:13. What I am trying to say is that the text for my first point this morning is actually that space in between verses 13 and 14. You say, are you serious? Yes, I am. Let me read it for you … there, I read it. This is the smallest piece of text that I have ever drawn a point from. When I preached through Ephesians, I drew a point from a single comma, but this is the first time I have ever drawn a point from a space. I guess you could say this morning, that my first point comes literally from reading between the lines. Have you heard of the Gap Theory? That there is a lot of history in between Genesis 1:1 and Genesis 1:2? Well, this is the New Testament Gap Theory. There is a lot of history in between Luke 4:13 and Luke 4:14. Some of you may be thinking, “Oh, come on. What could there possibly be in that space? You know what is in that little space? A whole year of Christ’s ministry. A whole year! Luke takes the whole first year of Christ’s ministry and boils it down to a space, a gap, a small little opening between once sentence and another. Christ’s earthly ministry was only three and half years long, but Luke takes 30% of that and says absolutely nothing about it. Christ’s first year of ministry is relegated to a space in between Luke 4:13 and Luke 4:14. How do we know this is the case? We know it by comparing Luke with the other Gospel accounts. And when this is done, when Matthew, Mark, Luke and John are all compared with one another, it is discovered that only John says anything at all about Christ’s first year of ministry. All three of the others, Matthew, Mark and Luke, when they begin to talk about the ministry of Christ, jump right in to the second year of ministry. Only John tells us about Christ’s first year. There are reasons for this, but let me explain first what happened in Christ’s first year. First of all, somewhere after the time of the temptation, Jesus has gained a few followers, and decides to go to Galilee (John 1:43). So they went there, and attended a wedding feast where Jesus performed his first miracle of turning water into wine (John 2:1-12). After this, Jesus headed back down to Jerusalem for the Passover (John 2:13). When he got there, he found the temple full of merchants and money changers, and so he made a whip out of cords and cleansed the temple (John 2:13-22). His actions and his teachings sparked controversy among the Pharisees, and one of them named Nicodemus came to Jesus by night to question him about eternal life (John 3:1-21). After this, Jesus and some of his disciples went out into the Judean wilderness and started to baptize Jewish people who came to them (3:22-4:3). This started some controversy also, and so Jesus left that region and headed north for Galilee again. On the way there, however, he had to travel through Samaria (John 4:1-4). And in a town called Sychar, where they stopped at a well, where Jesus met and talked with a Samaritan woman there about how to worship God (John 4:4-42). Many Samaritans believed in Him for eternal life (John 4:39-42). 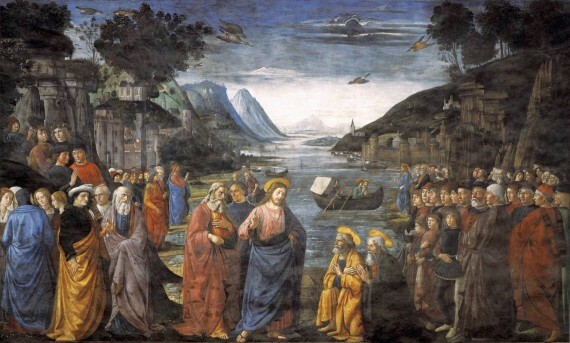 After this, he went again to Galilee, and it is at this point that Luke picks up the story. One year has already passed. Jesus has been to Jerusalem and back. Many have believed in him for eternal life. He has taught. He has done a miracle and healed some who were sick. And now, he returns to Galilee to begin his second year of ministry. And all that is contained in the space between Luke 4:13 and Luke 4:14. Now, I want to talk for a few minutes about why John includes the events of Christ’s first year, but Matthew, Mark and Luke do not. To understand this, we must understand the purpose of Christ’s first year. The overriding purpose of Christ’s first year of ministry was to make believers. This is why he did what he did that first year, and why he went where he went. I mentioned it several times just in my brief summary of that first year. As he went about from place to place, John tells us that Jesus was constantly telling people that in order to have eternal life, all they had to do was believe in him for it. In fact, the word “believe” is found 22 times in the first four chapters of John. Over and over and over again, Jesus does something and people believe in him. Jesus teaches something and more people believe in him. The overriding purpose of Christ’s first year of ministry was to make believers out of Jews and Samaritans. In his first year, He gains hundreds, if not thousands of believers. But in his second year, he transitions from gaining believers, to turning those believers into disciples. He goes from gaining believers to making disciples. He goes from hundreds or thousands of believers, down to focusing on turning twelve. That is what he primarily focuses on in his second and third year. His first year – making believers. His second and third year – making disciples. Did you even know there was a difference between the two? A believer is somebody who has believed in Jesus Christ for eternal life. Whenever anybody believes in Jesus Christ alone for eternal life, they become a Christian. But becoming a Christian is not the same thing as living like a Christian. Becoming a believer is not the same thing as being a disciple. A believer is nothing more than a new born babe, helpless, weak, unable to fend for themselves or feed themselves. New believers need training and teaching, they need to be fed and corrected. They need to be turned into disciples. Once a person believes in Jesus Christ for eternal life, that is not the end of the work, that is just the beginning. Jesus says in Matthew 28 that we are to go and make disciples, not go and make converts. A believer is someone who has simply believed in Jesus for eternal life. But a disciple is much more. A disciple is someone who knows Christ, follows Christ, learns from Christ, learns about Christ, and imitates Christ. A disciple is a student, a pupil. A disciple is one who gets rid of sin in his or her own life so that he or she can live more for Christ. A disciple is baptized, plugged into a church, prays regularly, reads their Bible, and knows the story line of the Bible. A disciple knows basic theology, basic Bible doctrines, how to live the Christian life, what church is all about, how to witness, how to live by faith and walk in the Spirit and a whole host of other important things. That is what a disciple does. If it sounds daunting, that’s because it is. The truth is that you never graduate from the school of discipleship. And that is what Christ began to do in his second years – to train believers in the school of discipleship. In his first year of ministry, Christ was mainly interested in gaining believers. This is what we read of in John 1-4. But beginning with Christ’s second year of ministry, Jesus begins to turn these believers into disciples. But this still does not explain why Luke does not record anything from the first year of Christ’s ministry, while John does. Well, here is why. This is very, very crucial to understanding and rightly applying all four of the Gospel accounts. The Gospel of John is called the Gospel of Belief. Almost 100 times in this account of the life of Christ we find the world “believe.” That’s close to five times per chapter. Over and over again, John tells us that anyone who simply believes in Jesus Christ for eternal life has it. God guarantees everlasting life to all who simply and only believe in Jesus Christ for it. That is the often repeated message of the Gospel of John. And so it comes as no surprise, when, at the end of the book, John tells us why he wrote it. He says in John 20:31, “These are written that you may believe that Jesus is the Christ, and that by believing you may have life in His name.” If you are trying to share the Gospel with somebody, you can do no better than use passages from the Gospel of John. John wrote his Gospel so that those who read it know that the only way to have eternal life is to believe in Jesus Christ for it. The Gospel of John is the Gospel of Belief. It is the ideal Gospel to use when witnessing to someone and encouraging them to place faith in Christ for eternal life. That is the purpose for which it was written. But the purposes of the other three Gospels, Matthew, Mark and Luke are different. If John was written to turn unbelievers into believers, Matthew, Mark and Luke were all written to turn believers into disciples. The main purpose of Matthew, Mark and Luke is making disciples. The first three Gospels were written to those who are already Christians, who are already believers, in order to teach them, show them, instruct them how to become committed followers of Jesus, how to become disciples of Jesus, how to follow in the footsteps of Jesus. Oh sure, there are passages that deal with discipleship in John, and there are passages that deal with becoming a believer in Matthew, Mark and Luke. But for the most part, the focus of John is to make believers, and the focus of Matthew, Mark and Luke is to turn those believers into disciples. Into all-out, full-fledged, on-fire followers of Jesus Christ. Now, Matthew wrote to turn Jewish believers into disciples. Mark is a quick paced, abbreviated, “Just give me the facts, Jack” account. It’s good for youth and teens and others who like lots of action. Luke was written to turn Gentiles believers into disciples. So this explains why Luke doesn’t record anything of Christ’s first year of ministry. Jesus was mainly concerned about gaining believers his first year of ministry, but Luke is mainly concerned with making disciples. So Luke skips the first year and jumps straight to the disciple making years. Luke does not record the first year of Christ’s ministry because Luke wants to focus on the things Christ did and said to make disciples. Now, as a pastor, it is my responsibility to be about the business of making disciples. That is the Great Commission in Matthew 28:19-20 – go and make disciples. And since most of you, if not all of you, are Gentiles, I decided to take you through Luke since it was written to you. To help you become the best disciple you can be. When we are done with Luke, we will pick something else that will help you travel down the path of discipleship also. So with all of that in mind, let’s turn to look at Luke’s introduction to Christ’s second year of ministry. If you want to be a disciple of Jesus Christ, you need to focus on what He made his disciples focus on. You need to watch for what he emphasizes, and then emphasize that in your own life. What are some of those things? Luke 4:14-15 contain two of the things Christ focused on in His second year of ministry. Let’s look at the first thing in Luke 4:14. Luke 4:14. Then Jesus returned in the power of the Spirit to Galilee, and news of Him went out through all the surrounding region. Luke 4:14 says that he returned…to Galilee showing that this is indeed his second visit there. He went once at the beginning of his first year, and now he has returned at the beginning of his second year. And this second year of ministry was characterized by two things. First of all, in verse 14, He went to Galilee in the power of the Spirit. I don’t care what you are trying to do in life as a Christian, if you do not go in the power of the Spirit, you are only doing it in your own power, and you will not accomplish anything that glorifies God. Oh, you may build a huge ministry. You may gain a lot of fame and glory for yourself. But none of it will be honoring or glorifying to God. Jesus went in the power of the Spirit. Everywhere he went, everything he did, every word he said, was with the power of the spirit. This should be our goal as well. But how? How did He do it? How can we receive the power of the Spirit? Here’s how. Receiving the power of the Spirit comes from spending large amounts of time in prayer and in the Word. Whenever you see men and women in the Bible going forward in the power of the Spirit, you will also find that they spend very large amounts of time, hours, in prayer and in the Word of God. That is vital. Jesus did this, and because of it, news of Him went out through all the surrounding region. Now, such news could not have gone before him if he was just starting out in ministry. If this was his first year of ministry, there would have been no news to spread. But because he has a year of ministry under his belt, because he has taught, and healed, and performed miracles, news of him began to spread throughout Galilee as he went forward in the power of the Spirit. That’s the first thing that you must do if you are going to follow Christ’s example. Go in the power of the Spirit. But look at the next thing in Luke 4:15. Luke 4:15. And He taught in their synagogues, being glorified by all. The second thing Christ focused on was teaching in the synagogues. Maybe you’re wondering what a synagogue was. A synagogue was like their church. They had the temple in Jerusalem, but they only went there a few times a year. The synagogue was where they gathered at least weekly on the Sabbath, but many of them gathered much more frequently. And they gathered there for one purpose only, and that was to be taught the Word of God. They went weekly, if not daily, to the synagogue to learn the Bible. In fact, sometimes, rather than call them Synagogues, they were referred to as a “school” or “House of Instruction.” The synagogue was the local religious school where Jews went as often as they could to learn the Word of God. So Jesus, every week of his ministry, could be found on the Sabbath, in the synagogue, teaching the Bible to those who had gathered to hear it. We often don’t realize Jesus did this. I think sometimes, we don’t even realize that Jesus went every week to his version of church. We tend to think he just wandered about from place to place, healing people, and telling stories on mountain tops. Let me clear this up for you. Yes, it is true, Jesus occasionally told stories. But he almost never told them when he was teaching in the synagogue, when he was teaching in the Jewish “church.” Instead, He told them when He was out among the mixed multitudes. But more than this, do you know why he told parables and stories? His disciples were perplexed at such an odd and unconventional way of teaching people, and they were confused by the stories more often than not, and they knew that the people who heard the stories frequently misunderstood what Jesus was saying, and so one time the disciples come to Jesus and ask him, “Jesus, why do you speak to the people in parables?” And do you know what Jesus told them? He tells them in Luke 8:10 that he speaks in parables so that they will not understand what he is saying! He told parables so that people would be confused! He told parables so that the truth would be hidden. Some of you are thinking, “Well, that’s why I can never make heads or tails of what Jesus is trying to say in those parables.” But others of you are thinking, “What? Why would he tell stories that were purposefully confusing?” Well, we will talk about why when we get to Luke 8. Or maybe a little sooner than that when we get to the first parable in Luke 5. But I point this out just to show you that we must never say, “Well, Jesus used stories and so should we.” Jesus told stories to confuse people, not to make the truth plain and simple. When he wanted to speak the truth plainly, he would tell it plainly. And that was his primary method of teaching. Remember, week in and week out, he would go the synagogue, and teach. And how did he teach in the synagogue? Well, we know from the Bible and from many other sources that the teacher would pick a section of Scripture, would stand and read it, then sit and explain it. Jesus does this in Luke 4:16ff, Luke 6:6ff, Luke 13:10ff and many other places. 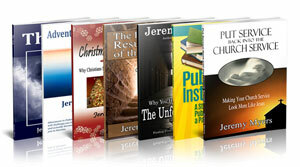 See this sermon on the Expository Preaching method of Jesus for more. This is also the pattern that the early church followed (Acts 2:42), and what Paul followed (Acts 13:13ff; 14:1ff; 15:21, 18:4, etc.). This is even how the Old Testament believers taught the Word of God (Neh. 8). The Biblical pattern and Christ’s pattern for teaching in the gathering of the congregation is simply teaching the Bible simply. Pick a passage, read the passage, explain the passage. Book by book, chapter by chapter, verse by verse – even space by space if necessary. This is what we see Jesus doing here. The second thing He focused on in ministry was teaching the Word. And just as with the power of the Spirit, news of him spread throughout the region, so also, because of his teaching of the Word, the last phrase in verse 15 says that he was glorified by all. This means he was praised by all. Everyone spoke very highly of him. God blesses those individuals and those ministries that are both powered by the Spirit and founded on the Word. There are so many ministries that overemphasize one of these at the expense of the other. So many ministries are all about the power of the Spirit, but there is barely any teaching of the Word. Similarly, there are many churches that teach the Word, but not with the power of the Spirit. Both are necessary, and a balance between the two are necessary if God is going to bless a church, or bless a ministry, or bless an individual. Jesus’ ministry was marked by a perfect balance between the two. He used the power of the Spirit to teach the Word of God for the purpose of making disciples. Do you want to be a disciple? Part of this involves the power of the Spirit and spending lots of time reading and obeying Scripture. Part of how we make progress in discipleship is through the power of the Spirit and the Word of God. Dawson Trotman was the founder of the Navigators, a Christian organization devoted to evangelism and discipleship. Dawson liked to pick up hitchhikers because it gave him a chance to witness to them. One day early in his ministry, Dawson was driving along and picked up a hitchhiker who swore as he got into the car. Dawson reached into his pocket, pulled out a tract and handed it to the man. The man looked at it, then looked at Dawson, and said, “Haven’t I seen you before?”As it turned out, Dawson had picked up the man about a year earlier, had witnessed to him, and had led the man to faith in Christ, then dropped the man off where he was going, and drove off. Now, here the man was, a year later, showing no change, no growth, and in fact was worse off than before. This event convinced Dawson to not only witness to others, but when somebody believed in Jesus for eternal life to immediately begin discipling them. He said, “You can lead somebody to Christ in anywhere from twenty minutes to a couple of hours, but it takes from twenty weeks to a couple of years to get him on the road to maturity.” Where are you on the road of discipleship? What is the next step you need to take in the maturing process? Do you need to receive the power of the Spirit? That comes through spending time with God through prayer and the Word.